Within the collection "¿Qué sabemos de?" (What do we know of?) from the CSIC, there is the book called "Los riesgos de la nanotecnología" (The risks of nanotechnology) that has been recently published. We will have the authors of the book here with us on 17 July at 12 pm, at Sala d'actes Carles Miravitlles. We welcome you to participate in this interesting debate! The authors are Pedro A. Serena (Researcher at the Materials Science Institute of Madrid) and Marta Bermejo (Head of the Unit of Health monitoring and Occupational medicine of the CSIC). Two experts in the field: materials and health and environment safety. The book explains the present and future risks of nanotechnology, the possible associated damages and how all these issues are being addressed, taking into account the subjects related to health monitoring, risk prevention and regulation. We all know that the presence of nanotechnology in hundreds of materials, devices and everyday products is a fact. Nanotechnology reaches all productive sectors and it seems to have an enormous potential to improve our well-being. However, at the same time that this revolution occurs, certain problems caused by it may appear: some may be social or political issues, and others may be related to the risks and the impact of nanomaterials on the human being and the environment. 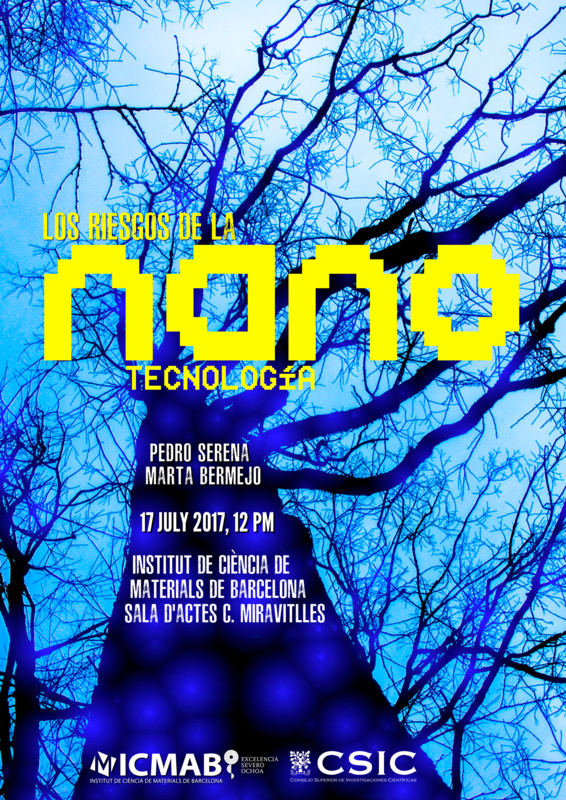 The social debate on nanotechnology is open! Join us to this seminar and you'll have the opportunity to speak with the authors of the book!